With Halloween behind us and Thanksgiving a few short weeks away, you know the holidays are roaring right up behind you. If you are like most of us, you may have had some stray thoughts about your gift list, but if you didn’t write them down, you probably can’t remember them now. We’re here to help you with some wonderful ideas from Vermont. This gift guide will focus on “her,” the ladies on your list. 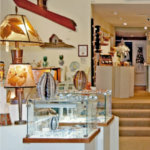 If she loves jewelry, especially unique handcrafted jewelry, she’s going to love the Ed Levin Collection from Hawkins House in Bennington. Consider the Signature Bracelet. 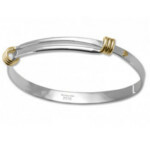 Crafted from sterling silver and 14k gold, this bracelet will immediately become a true family heirloom. Available in 5 sizes, this is the perfect gift for wife, sister, and even daughter. Shop at the Bennington store or online at $242. 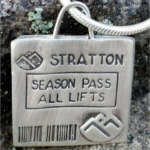 For a special gift, perfect for those who love Vermont skiing, check out the sterling silver ski lift ticket charms from Izadorable. Choose from Stowe, Stratton, Killington, Okemo, and generic Vermont. Western ski resorts are also available. Perfect for a charm bracelet, necklace, key chain, or zipper pull, these charms act as a reminder of times shared or wonderful vacations. Shop online at $95 each. If you will be in the Manchester, Vermont area, you owe it to yourself to make a visit to the Manchester Designer Outlets. There are over 40 stores representing top brands of clothing, specialty foods, shoes and accessories. Not sure what to buy? How about a gift certificate for her favorite store? Does someone on your list have special memories of Vermont? Help them relive those special times with the gift of a magnificent new picture book entitled Vermont: An Outsider’s Inside View. 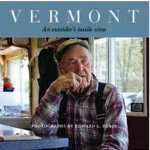 Featuring over 200 photographs by award-winning photographer Edward L. Rubin, this handsome coffee table book chronicles Rubin’s travels through Vermont and the people he met there. Available through Vermont bookstores or online, the book retails for $45. Bennington Potters has been making outstanding pottery in Bennington, Vermont since 1948. With a large choice of colors and pieces, the selection is almost overwhelming. 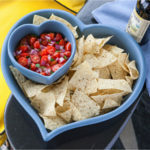 We think the Two Hearts Together Serving Set makes a great gift for those on your list who love to entertain. Use the pieces together or separately for serving. They are also oven-proof and make whimsical baking dishes. Buy at Bennington Potters store or online at $64. Does that special someone on your holiday list love to be pampered? Wouldn’t she love the gift of a spa visit? Located in Stowe, Vermont, the Stoweflake Mountain Resort and Spa offers a highly acclaimed, world-class spa. With 120 signature healing and anti-aging remedies for mind, body, and soul, she will certainly find just the renewal she wants in this tranquil environment. Just one example, The Organic Roses Getaway begins with a 50-minute Roses All Over Body Treatment, followed by the Organic Roses Facial and finishes with a Hand Me a Rose Manicure and a Walking on Rose Petals Pedicure for $429. If you need a few stocking stuffers or something for an office swap, you can’t go wrong with the wonderful lotions and oils from Naturally Yours Vermont Herbal Gifts. These products are handmade using organically grown herbs and produced in small batches to assure quality and freshness. As one example, the 4 oz. 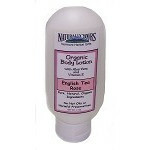 Organic Hand & Body Lotion sells for $8.95 online. For those on your list who are very special, how about the gift of a mini-vacation in Vermont? 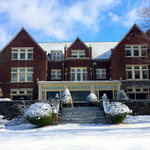 Choose from family resorts, romantic bed and breakfasts, luxurious hotels, or quaint Vermont inns. Or choose lodging based upon the activities your gift recipient loves whether it is skiing, shopping, summer theater, or just plain relaxing. Browse through the Vermont.com lodging pages to find just the right choice for Mom, wife, or sister. 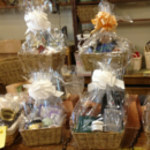 Gift baskets from Above All Vermont in Manchester make the perfect hostess gift. Have the folks at the store put something together for you from their huge selection of specialty foods. Or choose a theme such as Vermont-made snacks, breakfast, tea and coffee, to name a few. Prices range from $24 to $75 depending upon items included. Shop in store or online. Is there someone on your list who would appreciate a hand-crafted piece that is truly a work of art? Consider a gift certificate to Epoch in Manchester. Epoch is a cooperative gallery staffed by the artisan members who create these one-of-a-kind pieces. Your gift certificate recipient can choose from a large selection of jewelry, pottery, glassworks, wooden works, and more. The gift recipient not only chooses a gift that is unique, but it is also uniquely perfect for her. 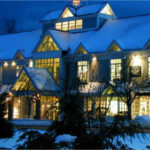 There are a lot of ideas here, but if you’d like to see more, check out Vermont.com’s Shopping & Products section or our Holiday Shopping Guides for Northern, Central, and Southern Vermont. 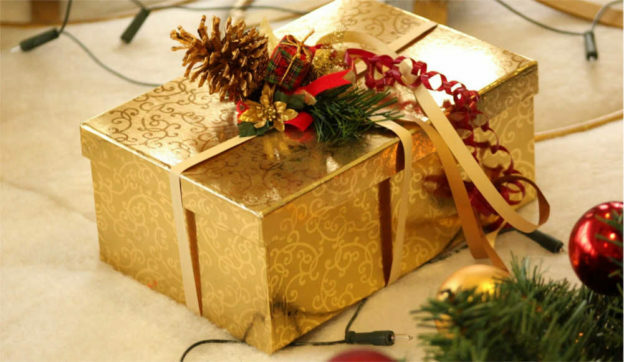 You are sure to find even more suggestions to make your holiday shopping effortless and your recipient’s holiday wonderful. This entry was posted in Activities, Now Trending, Shop, Uncategorized on November 7, 2016 by Linda Warner.